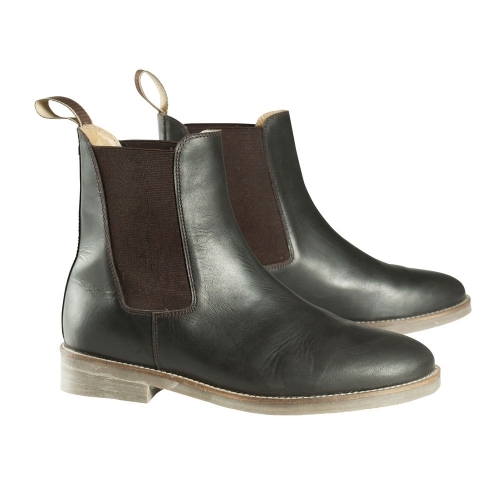 Oiled nubuck jodhpur boots with elastic panels in the sides. Embossing at heel. Loops for removing the boots. Comfortable and fashionable.